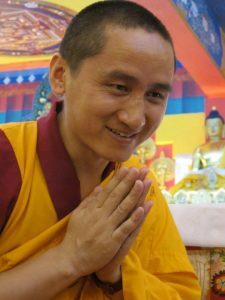 English speaking Geshe Tenzin Zopa teaches from the heart and, with his association with westerners since he was a young boy, knows exactly the problems we have and how the Buddha’s teachings will best help us deal with them. He is an entertaining and charismatic teacher who we are fortunate to have at our Centre for this short time. Geshe Zopa’s recent four-year stay in Perth as guardian to young Phuntsok Rinpoche makes him almost West Australian! Don’t miss him. An overview of Buddhist thought and meditation will be presented in an entertaining and easy to digest format so that you can apply these long tested techniques to better deal with the issues you face in daily life and better understand who you are. It is the best of times, it is the worst of times… and as we watch the news and ponder our daily experience, we realise that we cannot predict or control our lives with any certainty whatsoever. It was no different when the Buddha lived 2,600 years ago. He established that all phenomena are impermanent and our inability to accept this is the cause of our suffering.